Prof. Karel Van Hulle is a lawyer by training and was Head of Unit at the European Commission (Directorate-General “Internal Market and Services”), which he joined in 1984 after having served eight years with the Belgian Banking Commission, where one of his main tasks consisted in taking care of the Secretariat of the newly created Belgian Accounting Standards Committee. At the European Commission, he was subsequently Head of Unit for Accounting Standards, Head of Unit for Financial Reporting and Company Law and Head of Unit for Accounting and Auditing. In that capacity he was closely involved with harmonisation in the fields of accounting, auditing, and company law both at EU level and internationally and served as the Commission's observer with the International Accounting Standards Committee (IASC), with the International Auditing and Assurance Standards Board (IAASB), with the European Financial Reporting Advisory Group (EFRAG) and with CESRfin. He was Secretary of the High Level Group of Experts on Company Law which prepared the Commission’s 2003 Action Plan on Company Law. From November 2004 until February 2013 he was Head of the Insurance and Pensions Unit. In this function, his main responsibility was the preparation of a new solvency regime for insurance and reinsurance companies (Solvency II). Other areas of responsibility included life assurance, non-life insurance, reinsurance, motor insurance, insurance guarantee schemes and pension funds. 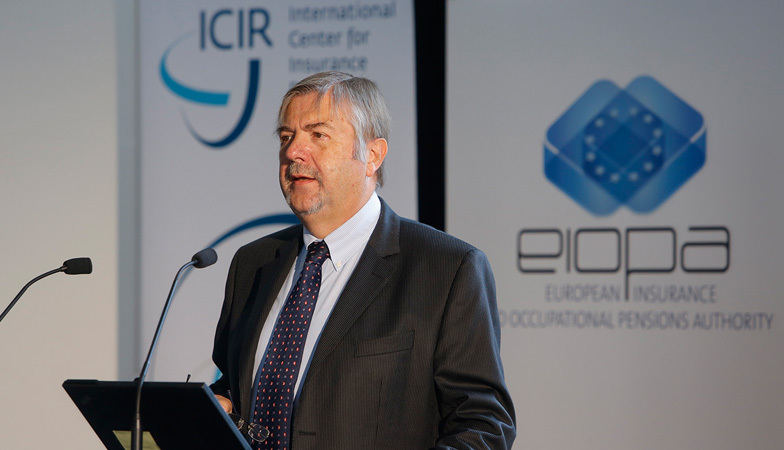 Karel represented the European Commission within the Committee of European Insurance and Occupational Pensions Supervisors (CEIOPS) and is a member of the Technical Committee of the International Association of Insurance Supervisors (IAIS). Prof. Van Hulle is part-time lecturer at the KULeuven since 1982 where he first taught accounting law at the Law Faculty and now teaches solvency for financial institutions in the Economics Faculty.